Today only, you can subscribe to Martha Stewart Living Magazine for only $14.99 per year. This is 54% off regular price. Just enter the coupon code CHEAPSKATE at checkout before 11:59 p.m. on Friday, May 10, 2013. 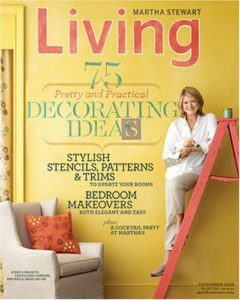 Martha Stewart Living Magazine was created by the famous television hostess who has become the popular guide on all things for the home and garden. Each issue allows you to celebrate the simple things of everyday life, such as gardening, entertaining, renovating, cooking, and decorating. This would make a great last-minute Mother’s Day gift or just a special treat for yourself.